Afghan civilian deaths in the first six months of the year reached an all-time high, the United Nations Assistance Mission in Afghanistan said in its latest report on Sunday, and it recorded a marked rise in the number of casualties caused by ISIS. Although the overall number of civilians killed or injured between January and June fell by 3 per cent from the same period last year, the number of deaths rose by 1 per cent to 1,692, according to the UN agency, which has been compiling casualty figures in Afghanistan since 2009. While hopes remain that the Taliban will enter negotiations to end their long-running insurgency, boosted by the militants declaring their first ceasefire for Eid last month, the expansion of the ISIS presence has raised concerns. The Unama report showed a substantial increase in casualties caused by suicide and complex attacks, the majority of which were attributed to ISIS. The agency defines complex attacks as assaults against targets that involve a number of attackers and typically last for hours. 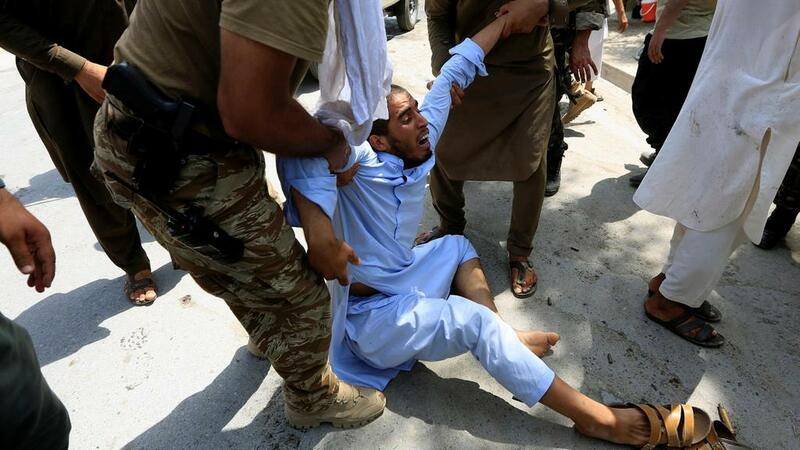 Suicide and complex attacks accounted for 95 per cent of the 993 civilian casualties in Kabul from January to June this year, and 52 per cent of those were linked to ISIS. The UN report said there was an increase in the number of attacks claimed by ISIS. The regional branch of the extremist group, which calls itself Islamic State Khorasan Province, claimed 15 attacks in the first half of 2018, resulting in 595 civilian casualties. In the same period last year, ISIS claimed seven attacks, with 183 casualties. The eastern province of Nangarhar was the worst hit by violence in the past six months, with a 142 per cent increase in civilian casualties. Unama recorded 304 deaths and 607 injuries, almost half of which were from attacks credited to ISIS. “In Nangarhar province alone, through the month of June, the mission recorded 13 related incidents attributed to Daesh/ISKP,” the report said.